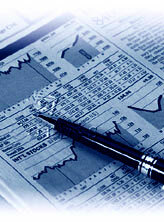 Ascent Partners develops and executes investment strategies with an emphasis on growth and value creation. We partner with exceptional management teams and leading institutional private equity firms to build leading companies in targeted industries. Through selective acquisitions and internal growth initiatives, we build modest-sized companies into industry leaders of substantial size. Equity commitments typically range from $10 - $100 million. We provide a unique combination of skills in business strategy, corporate growth, and mergers & acquisitions. Ascent is experienced in all phases of the company creation and building process. Our senior staff offers more than twenty years of experience each in corporate management, strategy consulting, corporate growth, public accounting, law, and investment banking. We look for industry sectors with characteristics favorable to building large, profitable companies with long-term value and multiple attractive exit options. Our strategies are based upon an in-depth understanding of the industry, important trends, growth strategies and acquisition opportunities, and key financial drivers. Our objective is to develop and invest in high-quality, growth businesses with strong management teams to achieve superior rates of return during a three- to five-year period. Ascent aligns itself with experienced and successful management teams. Our emphasis is on growth and value creation, not financial engineering. Ascent's in-depth understanding of the industry and knowledge of the most attractive potential acquisitions enables us to play an important, value-added role in assisting the companies that we help to create. We proactively create investment strategies for achieving growth and building intrinsic, sustained value for our partners in targeted industries. We partner with CEOs and management teams who lead the strategy and control the execution. We partner with private equity firms that are well suited to the particular investment strategy and bring the full value of their considerable experience and relationships, in addition to equity.